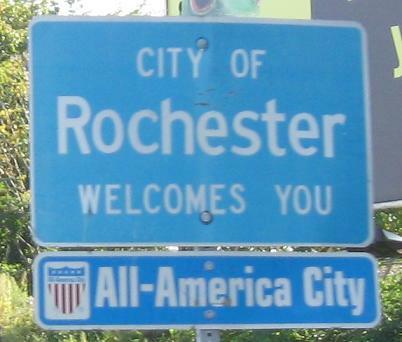 All of the photos on this page are packed into a couple of blocks on the border between Gates and Rochester. You'll be hard-pressed to find something better than these anywhere else on the route. Buell Rd. 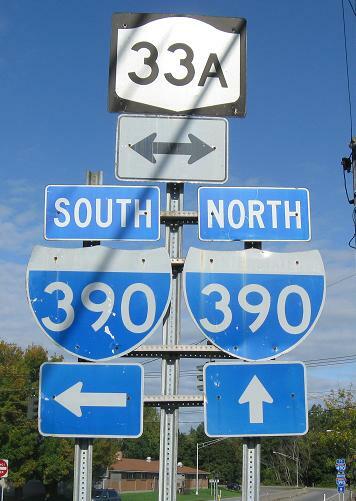 NB at NY 33A and I-390 Exit 19. 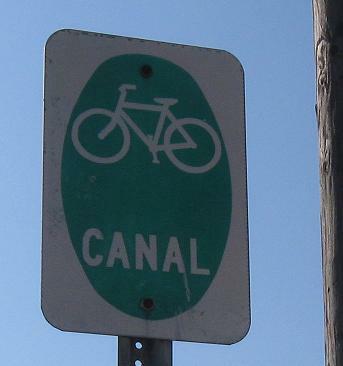 Usually, bike routes have numbers, not names. This must be a local one, and it even has a sign error! 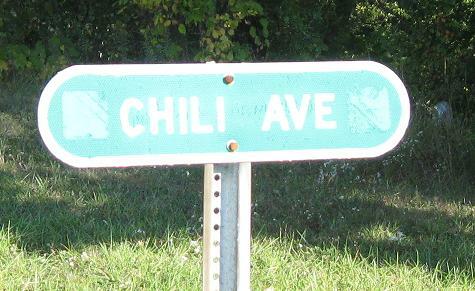 The Chili (pronounced to rhyme with jai alai) Ave. sign probably had arrows in either direction. Since it does go both ways, the arrows were fine, but it must not have matched the local specs for bike route signs. 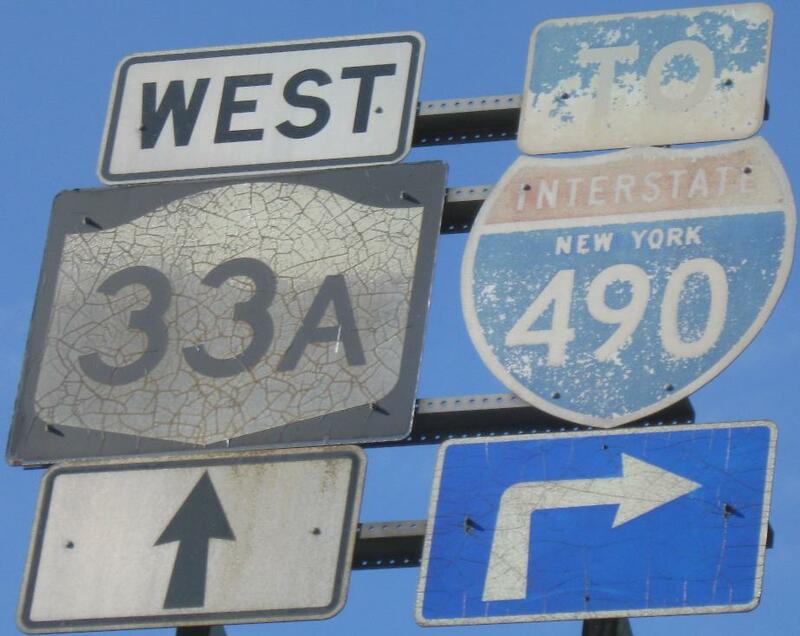 I'll reserve the possibility that it was state-erected since Chili Ave. is NY 33A. 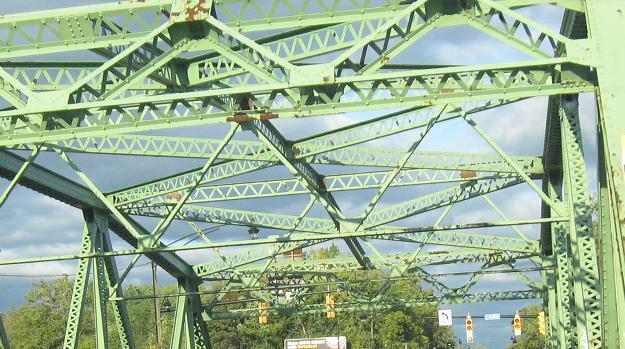 EB across the Erie Canal truss bridge just east of Buell Rd. The green railroad trestle in the background is just on the Rochester side of the border, so when I said the photos on this page were packed in, that's how packed they are. 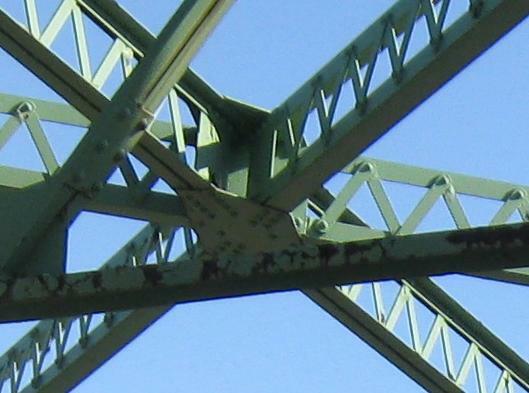 Old shields (especially the top two) on the WB face of the truss bridge. 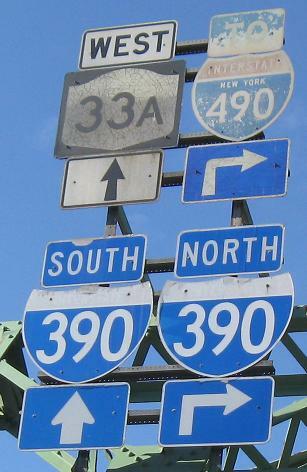 Those top shields must date from the opening of I-490 and/or this stretch of I-390. Click on the photo to see them up close.